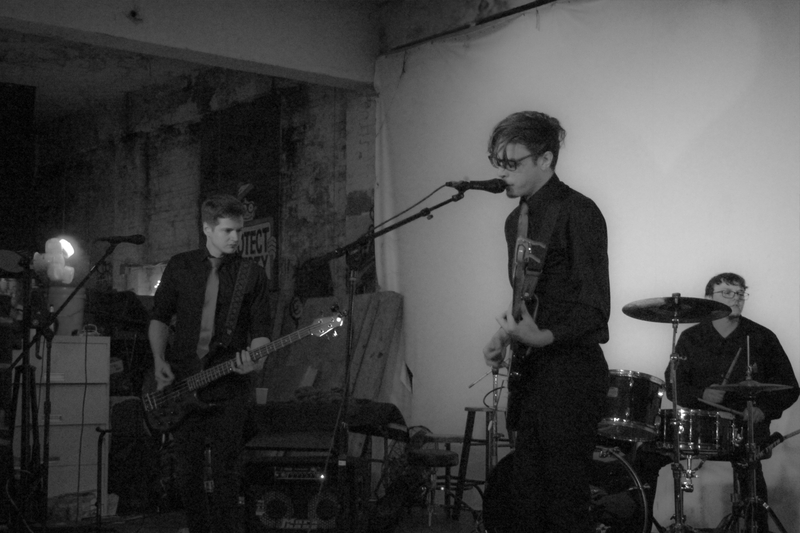 Fail Mary is an indie rock/post-punk band from Houston, TX consisting of Connor D. Jones, Chris Glass, and Aaron Stitt. Chris and Connor formed Fail Mary in November 2014 during their time at Wharton County Junior College as a fun side project to play at open mics and talent shows. Soon after, the pair started recording and releasing early demos at a rapid-fire rate. Most notable of these is their six-track demo EP, The City Skyline, which released February 2015. Fail Mary spent the next two years street performing and playing small shows. All the while, the band stayed busy writing new material and experimenting with new techniques for an official release. By early 2017, the duo found their footing, their voice, and their identity. Their experiments manifested themselves in Fail Mary’s debut release in April that year: a self-produced, self-recorded, self-released EP about heartbreak and abandonment entitled Showcase Your Sorrow—showing marked improvement over their previous recordings. The band then moved to the Houston area in order to better pursue their musical career. Aaron joined Fail Mary in late 2017, complimenting and completing the band’s sound. The trio is now playing shows on a regular basis and is currently working on new material for a future release. Copyright 2018 Fail Mary. Songs from Showcase Your Sorrow licensed under a CC BY-NC 4.0 license. Some rights reserved. Cover photography from Showcase Your Sorrow and “Criminal” by Daniel Wehner, used with permission under a CC BY 2.0 license. Live photography by Dhdz Image Design. Site powered by WordPress. Theme: Harmonic by WordPress.com.